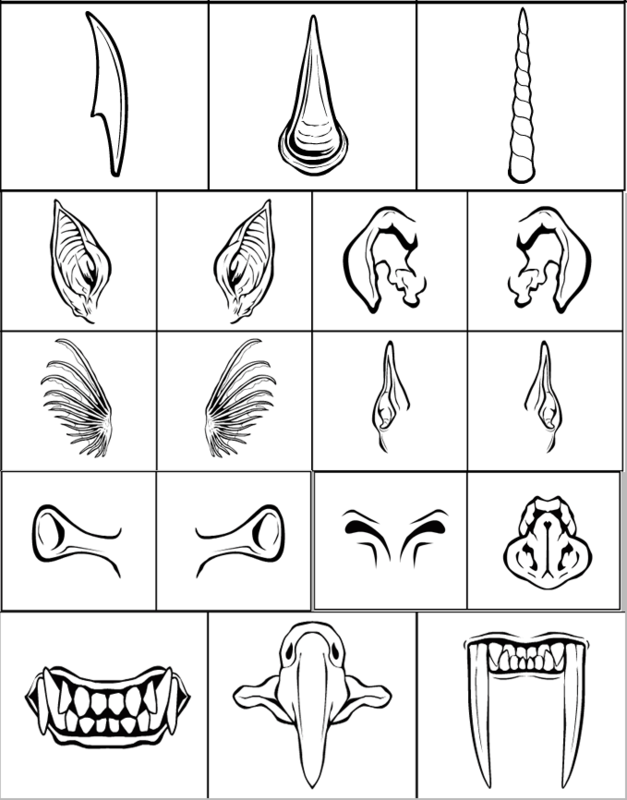 I've just uploaded the following Noses, Mouths, Hair, and Ears to HM3 thanks to the artistic stylings of one Mr. dblade. Be sure and thank him in the comments for his hard work! Thank you dblade and Jeff! Great stuff dblade. And thanks for adding it Jeff. New items are always welcome. Thank you, thank you. Thanks Dblade, very usefull items. Great work. Awsome! Adds some flexibility and that will always get a thumbs up from me. Fantastic! Thanks a lot DBlade and Jeff! Just the items to break the block. I should be able to slip in a monster or two for the “Big Bad” Challenge with these. Thanks, dblade and Jeff! Thanks guys. As always, I’m sure I can put these to good use. Is anyone else having problems with new items showing up in IE9? I can see and use them in Chrome, but not in Explorer. I can’t believe! I was thinking about sending an email to Jeff askin him about a unicorn!! Thanks guys! Is anyone else having problems with new items showing up in IE9?I can see and use them in Chrome, but not in Explorer. That’s almost always a caching problem — clear the cache in IE and you should see them appear. Tell me how the horn works for you. That was the piece I was most worried about getting right. Now that I’m happy with the horns, I’ll think about coloring it … if I ever figure out what colors it should be, heh. Jeff Hebert: That’s almost always a caching problem — clear the cache in IE and you should see them appear. Thanks Jeff. That solved it. dblade: Tell me how the horn works for you. That was the piece I was most worried about getting right. You want to know how I use the unicorn? I wanted it to do a roof of an underwater castle and some characters of my “book”. Beautiful stuff. Thanks loads, guys! Just want to mention that the unicorn horn is also perfect next time you’re doing a narwhal. And I can see that 4th-from-the-last nose(?) being used as a forehead for an aggressive alien type which should in no way be construed to resemble, in any respect, the intellectual property of the Star Trek franchise, and which rhymes with Bling On.